It was a great trip! 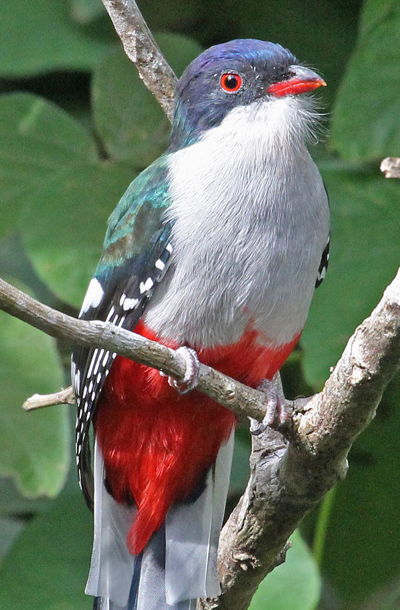 This special trip, arranged exclusively for supporters and listeners of BirdNote, offered a unique opportunity to experience the culture, birds, and nature of Cuba, through a collaboration between Victor Emanuel Nature Tours and International Expeditions and its People-to-People program. 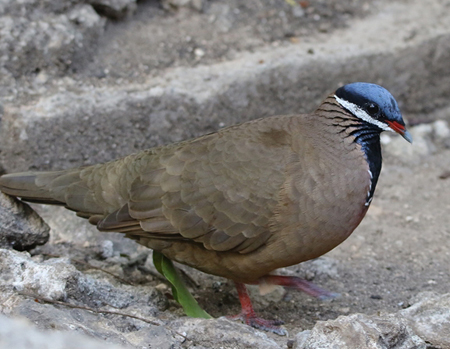 A portion of the trip fee supports BirdNote programming. 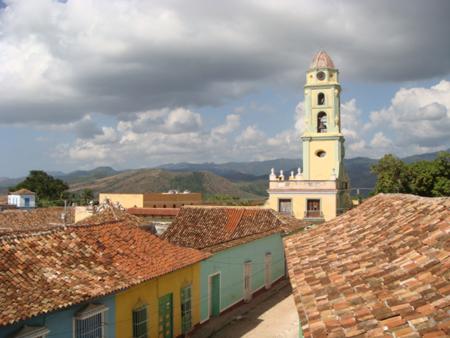 Participants will explore the countryside and the historic sections of the cities of Camagüey, Trinidad, and Havana. We’ll travel to different geographic regions to explore swamps, scrubby vegetation, dry forest, the coast, and wetlands. We’ll visit some of the island’s most beautiful natural areas, from the lush Viñales Valley to the Zapata Peninsula and the legendary Bay of Pigs. Our itinerary offers a breadth of immersive experiences in cultural exchange, education, and nature. It is the aim of the program to strike a balance of activities that provide a complete travel experience. 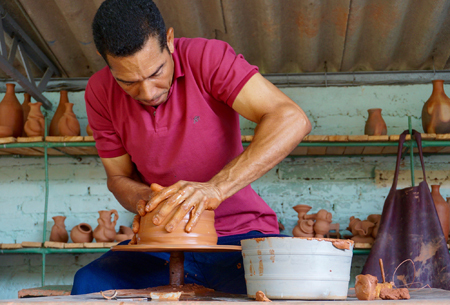 In engaging with the Cuban people — their history, their culture, and their natural history heritage — we learn about the transformative power that real face-to-face contact can have on us all. BirdNote hosts for this trip will be Dr. J. Drew Lanham, board member, and Sallie Bodie, managing director of BirdNote. David Ascanio, a master birder and naturalist, will be our guide. Meet your guide and BirdNote hosts and enjoy a welcome reception. This 500-year-old city was one of the first seven villages founded by the Spaniards. While some of us search for the Cuban Crow, others will enjoy an architecture and historical tour of Camagüey. Then, we’ll head across the 17-mile-long causeway to the beautiful beaches of Jardines del Rey on Cayo Coco, on the Atlantic Coast. Visit the Jardines del Rey park, then relax on the beach or go in search of American Flamingoes. We’ll drive across large tracts of sugar plantations and farmland en route to the Caribbean side. There, we’ll visit the unique Valle de los Ingenios, a UNESCO World Heritage Site, before arriving at the picturesque town of Trinidad. A walk through the colonial heart of that city will give us time to visit with shop owners and sample local fare as we go. On the way, we'll visit Ciénaga de Zapata National Park, where we'll observe the world’s smallest bird, the Bee Hummingbird. Enjoy time on the beach at Playa Giron or in the pool before dinner. We’ll pass through Soplillar, in search of the Cuban Pygmy-Owl. Then on the eastern edge of Havana, in San Francisco de Paula, we’ll pay homage to Ernest Hemingway at his former home, Finca Vigía. After lunch in Havana, we'll continue our drive west, to the hilly country of Soroa. Viñales is another UNESCO World Heritage site and one of the most frequently visited locations in Cuba. It’s also where the finest tobacco in the country is grown! 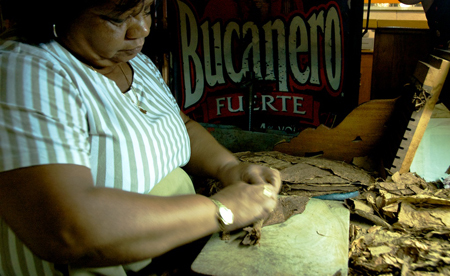 We hope to visit a farm and see the cigar-making process. At Sierra Del Rosario Biosphere Reserve, in the planned eco- community of Las Terrazas, we’ll learn about life there from local residents and taste a superb Cuban coffee. That night in Havana, we’ll head off on a “Hemingway Walk” to visit some of Papa's favorite haunts. 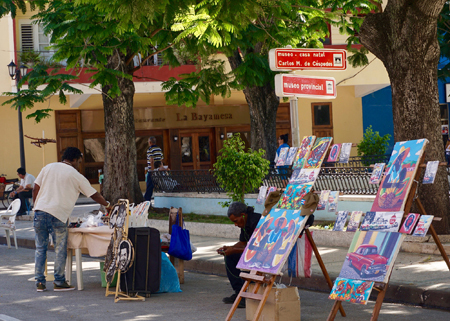 For an entire day, we’ll enjoy the people, architecture, old vehicles, and local artists of the famed Cuban capital. We’ll end the day with a wonderful meal and a Buena Vista Social Club musical review. View the entire itinerary and sign up here!